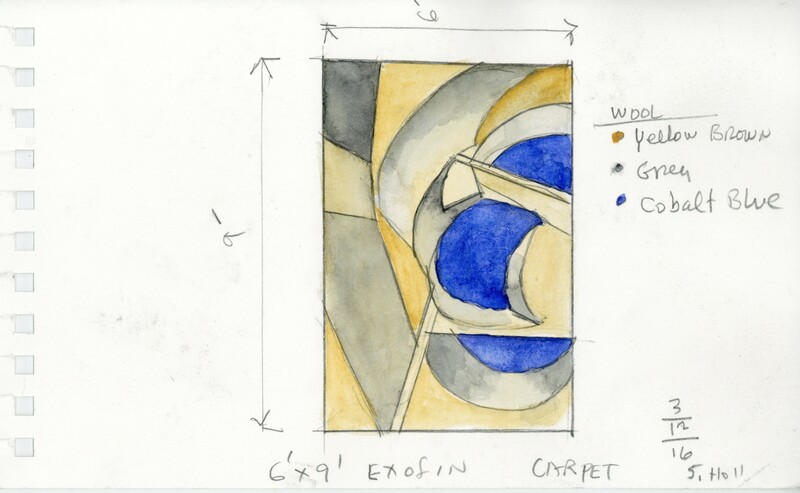 cc-tapis has released two hand-knotted carpets designed by Steven Holl. 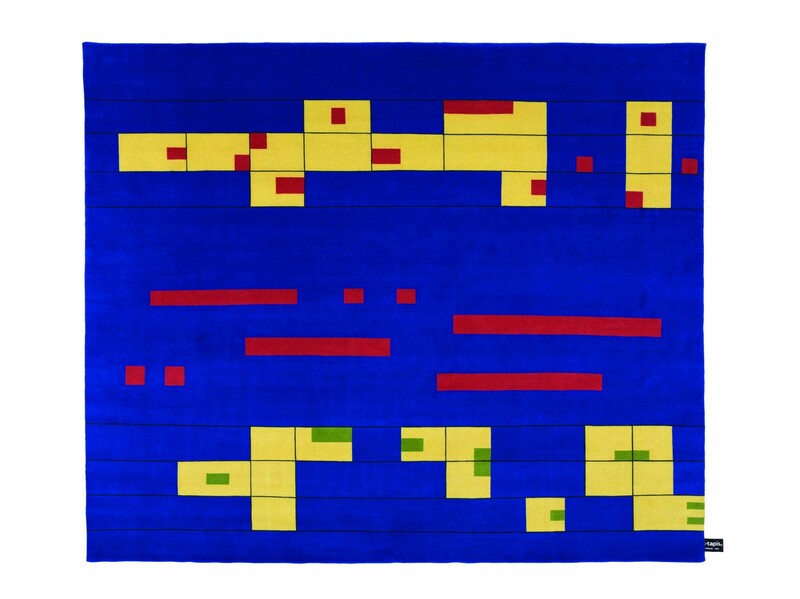 The two carpets, the “Morton Feldman Carpet” (2015) and the “Ex of IN Carpet” (2016) are the first to be offered in the Woven Watercolors collection. They were originally designed in collaboration with cc-tapis for the Lewis Arts Complex at Princeton University and the Ex of IN House in Rhinebeck, New York. 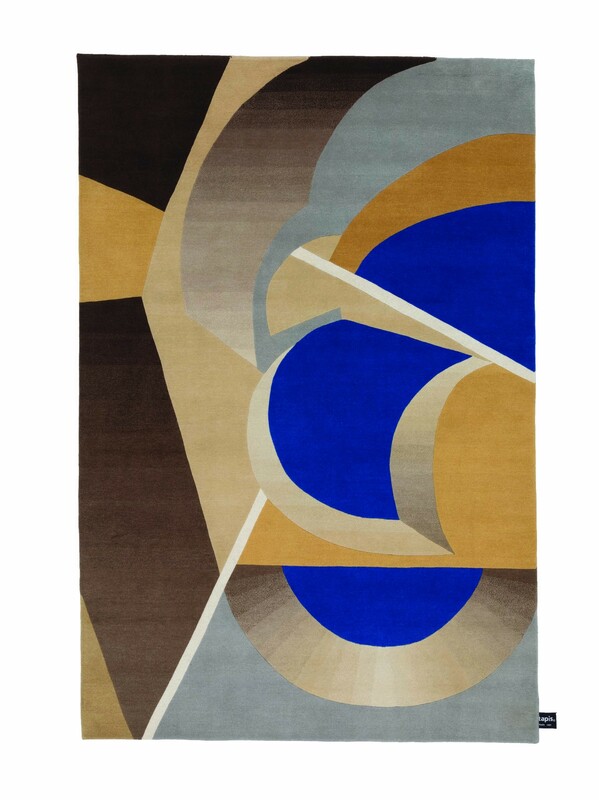 To celebrate the release, cc-tapis' U.S. distributor Hundred Mile will display the new carpets and process materials that express the design process behind the carpets and the buildings that inspired them. Process materials include models, studies, watercolors, sculptural objects and rug samples. The “Morton Feldman” was inspired by American composer Morton Feldman’s musical score. 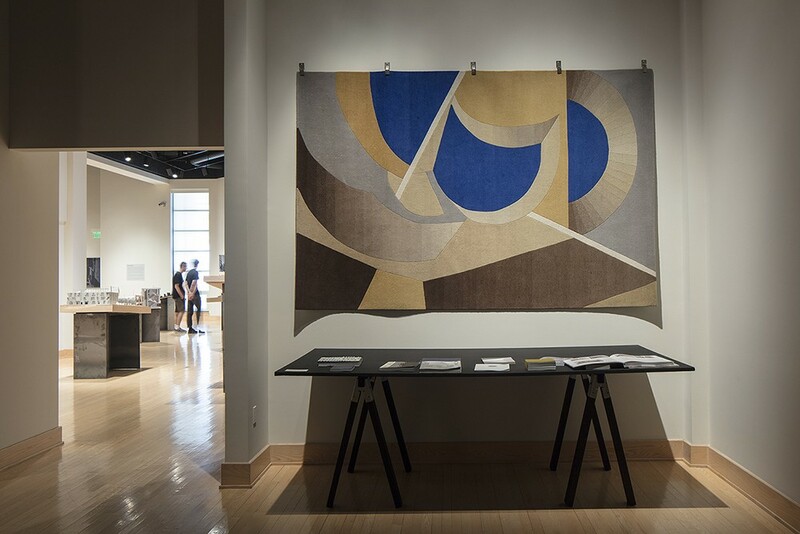 It was originally developed as one of nine custom carpets for Steven Holl Architects’ Lewis Arts Complex at Princeton University, which opened its doors to students in the Fall of 2017. The complex, which combines theater, music and dance, consists of three separate buildings that are integrated in an 8,000-square-foot forum below ground. Each of the three building’s interiors was developed uniquely, and the nine rugs were designed for specific spaces within. 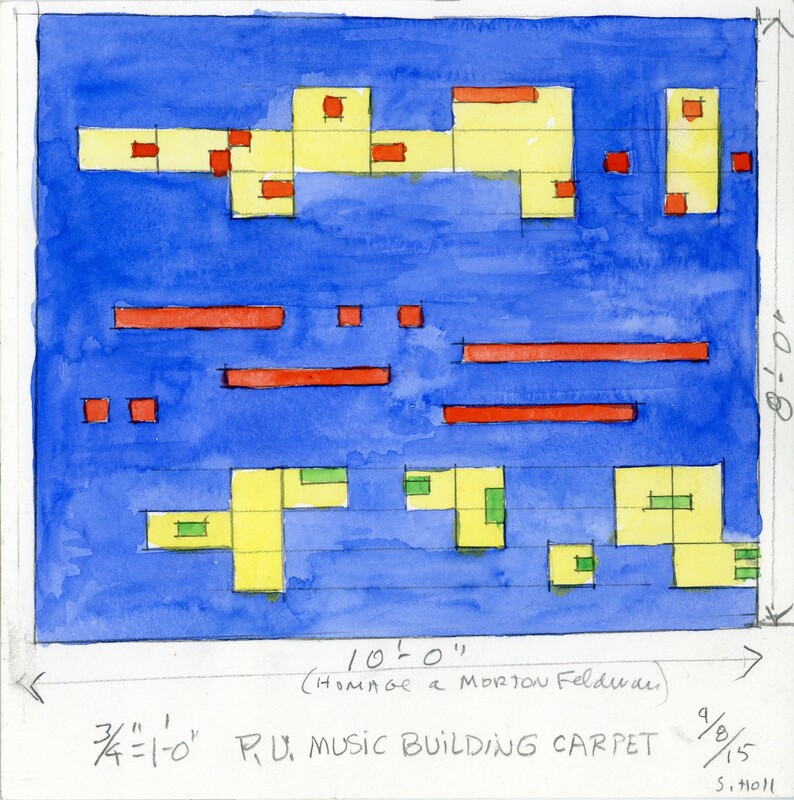 The original “Morton Feldman Carpet” sits on the top floor of the Music Building in an informal gathering space between individual practice rooms. The Music Building is developed according to an idea of “suspension.” Above the large orchestral rehearsal room, the individual practice rooms are suspended on steel rods. Acoustically separate, these individual wooden chambers have a resonant quality. 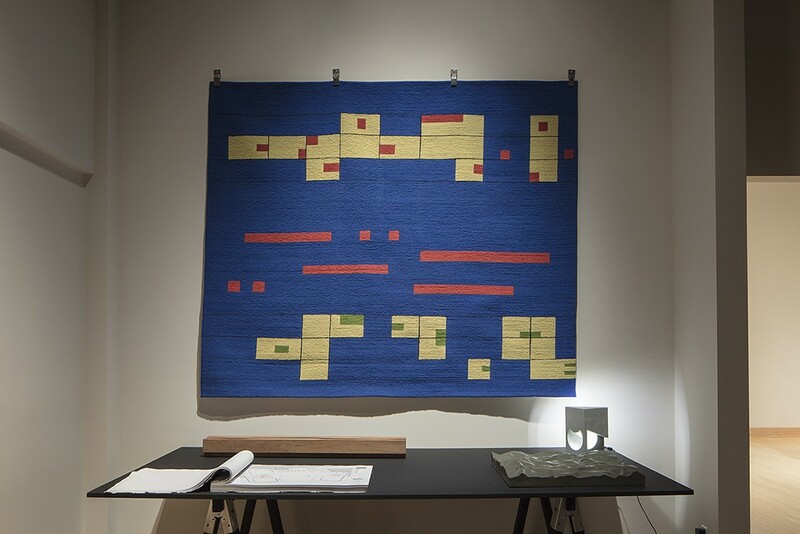 In addition to the “Morton Feldman Carpet,” the exhibition will feature process materials from all original nine rugs created for the Lewis Arts Complex. In June 2014, Steven Holl Architects began a research and development project Exploration of “IN.” The project questions the current clichés of architectural language by studying the intersections of spherical spaces through hand drawing, computer rendering, and physical 3-D forms. The “Ex of IN Carpet” and the original carpet’s home, the Ex of IN House, completed in 2016, were both products of this research. As a compressed form of 918 square feet on a site of 28 preserved rural acres, the Ex of IN House serves as an alternative to modernist suburban houses that “sprawl in the landscape.” Instead, the Ex of IN is a house of compression and inner voids. The house’s geometry is formed from spherical spaces intersecting with tesseract trapezoids, intended as a catalyst of volumetric inner space. Situated around one main volume, open to the second level, with the kitchen placed in the center, alternative use patterns are created. The house has no bedrooms, yet can sleep five. The exhibition will include the “Ex of IN Carpet” as well as research materials from the Exploration of “IN” research project. The exhibition will be on view at the Hundred Mile showroom gallery in Rhinebeck from September 22 through October 28. Learn more about the Woven Watercolor collection and cc-tapis’ other collaborations here. Learn more about Hundred Mile here.